Real Madrid will be aiming to defend their two-goal lead in the Copa del Rey tie against Girona when the two teams face each other at Estadio Municipal de Montilivi on Thursday evening. Los Blancos made a slow start to the season, but they have been in a fine form of late, which is the main reason why we are positive they are going to advance to the semis of the Spanish Cup. Santiago Solari’s men are likely to have a number of chances to score on the break and we are positive that they are going to record yet another victory over the Catalan outfit. 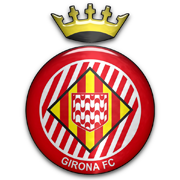 Girona suffered a 2-0 loss to Barcelona in their last home game in La Liga and it is more than obvious that they struggle in matches against top-table sides. Taking everything into account, we believe that away win should be considered. Christian Stuani is considered one of the best Uruguay attackers. Stuani was born on 12 October, 1986 and he began his senior career at Danubio. He impressed with the Uruguayan outfit, scoring 23 goals in 36 appearances for the club and, as a result, he became a target for a number of top European clubs. In 2008 he signed a contract with Reggina, but he failed to impress in 17 appearances for the Italian team. After spending the 2012/2013 season on loan at Espanyol, Christian Stuani signed a permanent deal with the Catalan side in 2013. Stuani scored 12 goals in 37 league appearances for Espanyol in the 2014/2015 Primera Division campaign, but at the end of the season he moved to Middlesbrough for a reported €3 million fee. The 186-cm-tall striker made his Uruguay debut on 14 November, 2012 in a friendly win over Poland. Stuani also represented la Celeste at the 2014 FIFA World Cup in Brazil. Real Madrid is a Spanish football club based in Madrid. Real Madrid participate in La Liga (Primera Division) and they have won 32 domestic titles. On the other hand, los Blancos have won 13 European Cup titles and that is the main reason why they are considered the biggest football club in the world. Real Madrid play their home matches at Estadio Santiago Bernabeu and the capacity of the stadium is 84,454. Cristiano Ronaldo is the club’s most successful footballer in the 21st century and the Portuguese superstar has won two Golden Ball awards. The likes of Alfredo Di Stefano, Zinedine Zidane, Raul Gonzalez Blanco, David Beckham and Iker Casillas are star players who were part of the Estadio Santiago Bernabeu outfit in the past. Real Madrid’s bitterest rivals are Barcelona, but the rivalry between local rivals Atletico Madrid and Real Madrid is big as well. Real Madrid’s home kit is white and, as a result, the team’s nickname is los Blancos (the Whites).